The Estonian Cabinet decided on Thursday to terminate the procedure for a national designated spatial plan for the establishment of a large pulp mill by the company Est-For Invest, reported LETA/BNS. "We decided to maintain our position and terminate the national designated spatial plan," Prime Minister Juri Ratas said at the government press conference. The premier added that the company may move forward with the topic and investors have the possibility to start with preparations for establishing the plant in another region of Estonia. He described it as very important for any endeavor to explore the possibilities to set up the plant in a specific area to have the support of the local community. The minister of public administration, Janek Maggi, observed that the interest of the state to develop the economy, including by establishing plants that use local raw materials, has not disappeared. Yet for it to materialize a manner suitable for the local community and all of society has to be found. "The termination of the national designated spatial plan does not close the door on businesses, as they can choose a different kind of planning procedure for the establishment of the plant, such as a local government designated spatial plan. 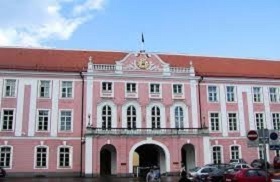 Without interest on the part of local residents and the local government, such a large scale plant can not and must not be established in Estonia. The main keyword is cooperation, without which it is not possible to achieve peace of work or legal peace," the minister said.